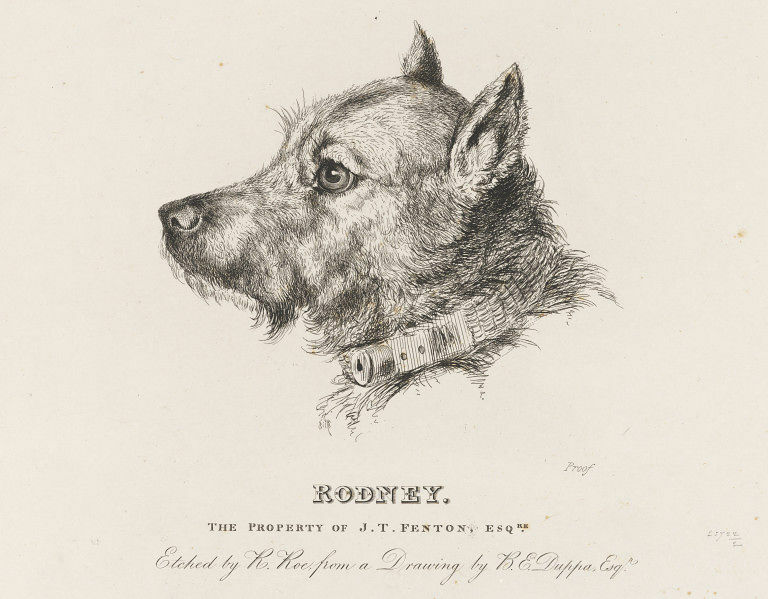 'Rodney'. Portrait of a dogs head in profile, facing to the left of the image. The dog noted as being 'The property of J. T. Fenton Esqre'. The design has been printed onto a thin paper, smaller than the size of the plate impression, which is attached to a thicker backing sheet. Lettered, in three different fonts, centrally below the image. Lettered bottom-right corner of image. 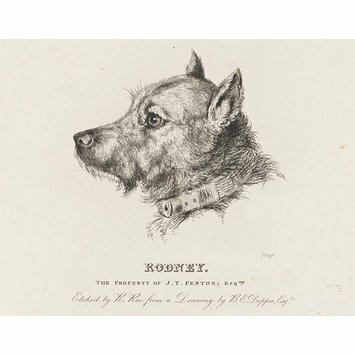 'Rodney'. Portrait of a dogs head in profile. The dog noted as being 'The property of J. T. Fenton Esqre'. Proof, etching print on paper. Etched by R. Roe, from a drawing by Bryan Edward Duppa. 19th century. Etched by R. Roe from a drawing by B. E. Duppa.